Colour match your hair perfectly with our colour ring. We offer a wide range of 25 beautiful natural colours that come with a reference number that is industry standard. Please Note: Colour rings are designed as a guide and colours can vary slightly from batch to batch. Not all colours are available in all products, please see the individual product pages for available colours. 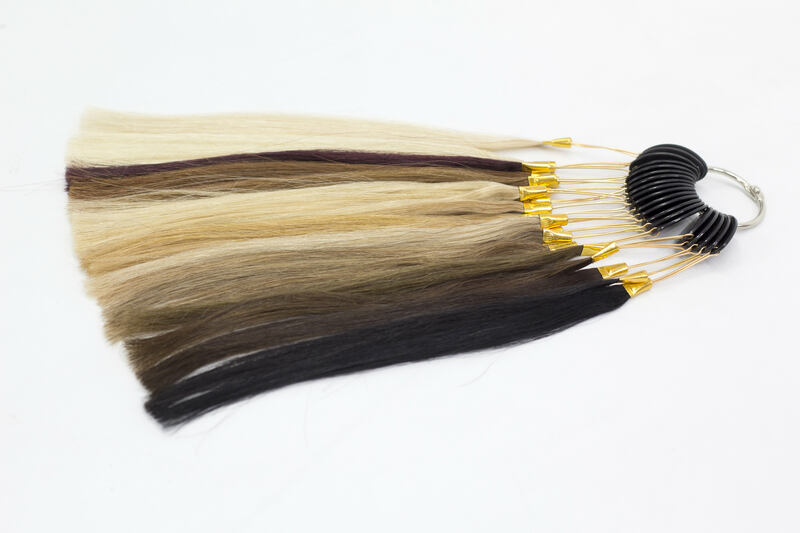 Colour match your clients hair perfectly everytime with our colour ring. We offer a wide range of over 20 beautiful natural colours to ensure a seamless blend.